Real Life. Real Savings. Real Reviews. Hello again, savvy savers! Today finds us with a new product review, and this time the Grilluminator BBQ Grill Light Review. Makes an incredible gift idea for any occasion! The father, husband or man in your life will be the envy of the neighborhood with this BBQ grill light. Give the gift of year round grilling for the grill master of the house! Are you in the DARK about grilling? Have you ever ruined some quality meat on your grill after the sun goes down? You’ve finally found the BBQ grill light to save your night. You’re with your loved ones and everyone is ready to chow down. Steaks are marinated to perfection. Drinks are cold. Salad is made and sides are ready to go. Everyone is hungry. Your only problem? It’s dark and you can’t see a thing when you walk out onto your deck. Your hands are full and you can’t find or even hold a flashlight. Don’t ruin another quality chunk of meat. Claim your title as BBQ MASTER year round with the Grilluminator! To find out more about this product, click here! Hello again, savvy savers! Today finds us with a new product review, and this time the Sharing Small Sock Subscription Review. So, what’s Sharing Small Socks? Sharing Small socks is a fun children’s monthly sock subscription that helps with the machine-eating-socks thing. This Canada-based company always sends 2 pairs a month, with a fun adventure activity or idea. 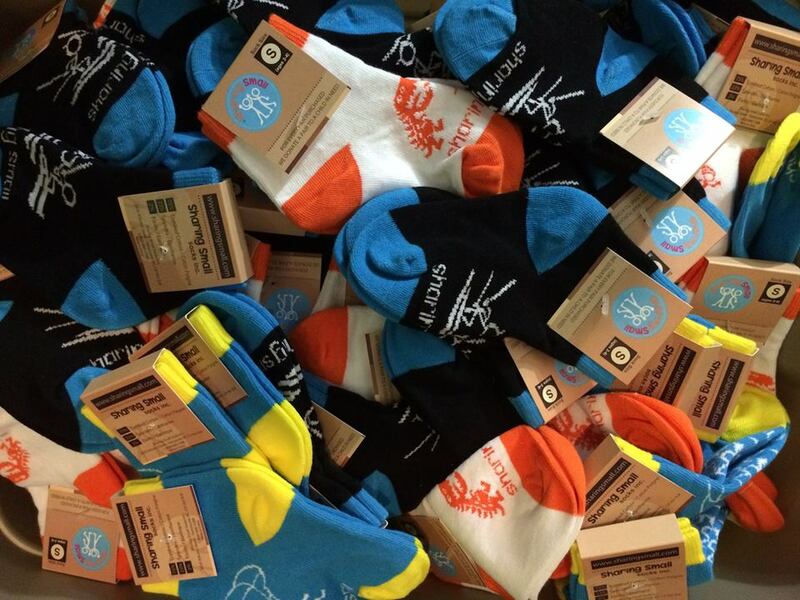 A really cool thing about Sharing Small is that with every subscription, they donate a pair of socks to a child in need, domestically and internationally, too! The idea is simple, just in the same tone that adults love to receive subscriptions in the mail, as do kids, too! In fact, I know kids love getting mail that’s just for them, but then again don’t we all! What’s really awesome is that Sharing Small is as fun as its educational, as each subscription contains practical lessons in charity and hope, vital for small minds and hearts. So for me, I say buy this subscription, not just for the adorable, durable, warm socks, but for the lessons it encompasses, too! One day a child wears socks, the next they are community and global advocates for change! To find out more about this subscription, click here! Hello again, savvy savers! Today finds us with a new subscription review, and this time the October Lullubee subscription Review! 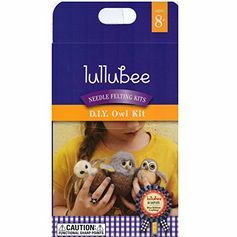 Lullubee is a monthly craft subscription box, as you can buy a monthly subscription in which you get a craft project at your doorstep every month, ready-made crafts in our Made by the Artist collections. The craft box I received was the D.I.Y. Owl kit. You will receive all of the needed materials and detailed instructions within this kit. Overall, I really enjoyed this box. The craft was fun for me to make and I loved the end product. Having a craft kit to look forward to was something right up my alley! To find out more about this kit, click here! Calling all my fellow crafters and artists! Have you all heard about Creativebug? 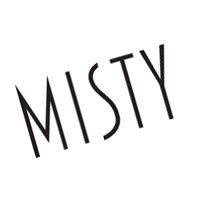 They are a super cool new San Francisco-based company that produces online craft and DIY videos. Creativebug is a monthly subscription site, so once you join, you get access to every single video on the site. The content doesn’t end at sewing–there’s book binding, embroidery, knitting, crochet, and lots more. I politely asked Creativebug to give you all a little discount, and they enthusiastically agreed! CreativeBug’s mission is to be your go-to source for online art and craft instruction. CreativeBug has gathered some of the most inspiring designers and crafters to bring video workshops right to your screen. Whether you’re an accomplished artist or just getting acquainted with a glue gun, these workshops provide project ideas, expert guidance and a healthy dose of creative inspiration. Fancy learning how to crochet at midnight? Have a hankering to paint in your pajamas? Once you become a CreativeBug member, you’ll have unlimited access to over 300 workshops. Keep a library of your favorites and even remember where you left off if you want to continue later. Each workshop is broken down into video segments so you can skip ahead or watch a video again and again until you master a technique. CreativeBug has assembled a stellar roster of instructors from the crafting community and teamed up with professional videographers to create artisticly detailed video tutorials. Not only do they have impressive skills, but they’re genuinely awesome people who can articulate not only the process of making something by hand, but the emotional satisfaction that gets knit, stitched, painted and glued into every project. From beginning sewing to advanced knitting, CreativeBug has a class to inspire your creative side. Classes can be purchases A La Carte or as part of a Subscription. You can also check out Creativebug on Vimeo. This service is worth every penny!